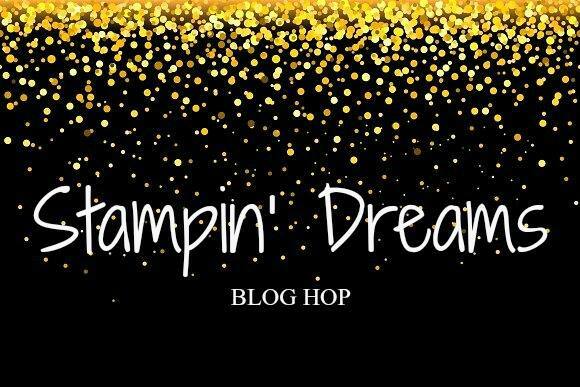 Welcome to the monthly Stampin’ Dreams Blog Hop. This month’s theme is “Something Different”. 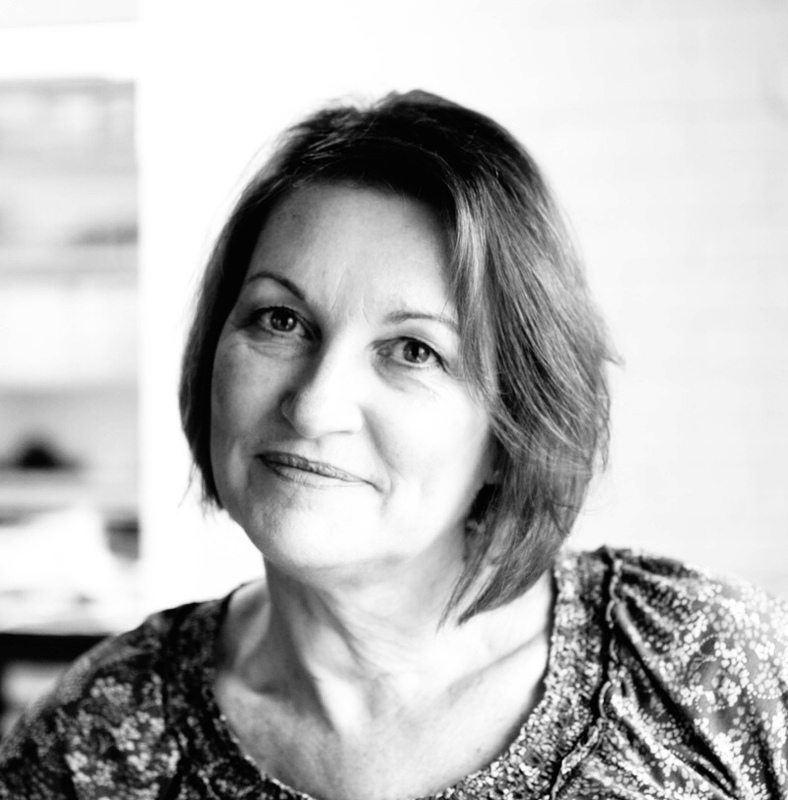 You are currently visiting Cheryll Miller from Australia. We were asked to step outside our comfort zone and do something different to what we normally do for this hop. Any of you who follow me, know that I usually stick with standard cards. I have a “thing” about construction or 3d cards because invariably I muck up the measurements and make a hash of it. So I have attempted a construction card today … albeit a very simple construction card … well almost not really a construction card, but baby steps, hey! This is, apparently, a double z fold card. 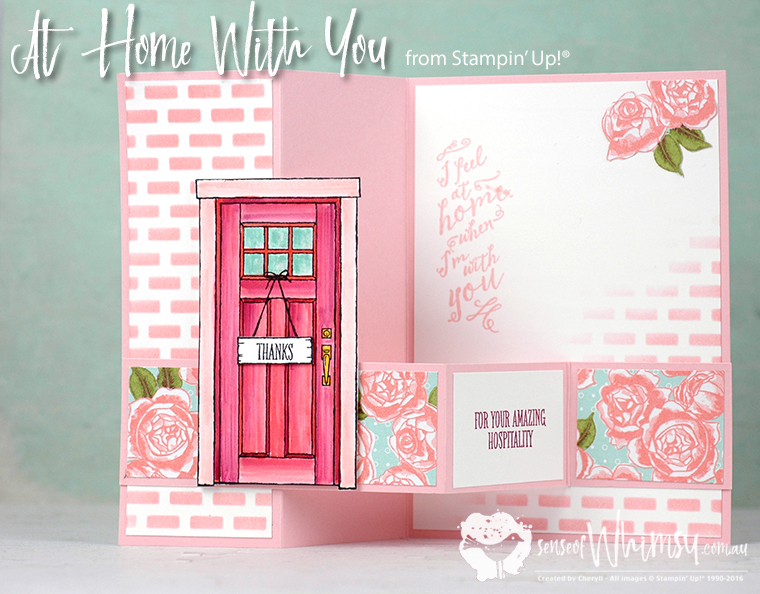 I took the opportunity to use a stamp set I haven’t used in a project as yet .. the “At Home With You” stamp set from Stampin’ Up! I love this door! I wish my hubby would let me paint my door this colour! I used a mixture of Flirty Flamingo, Calypso Coral and Rich Razzleberry, all coloured with a blender pen. I have found the trick with using the blender pen on Whisper White card when you are blending multiple colours is to let each colour dry before applying the next colour, and apply the colour in light strokes. The strokes also help achieve a “wood like” texture on the door. 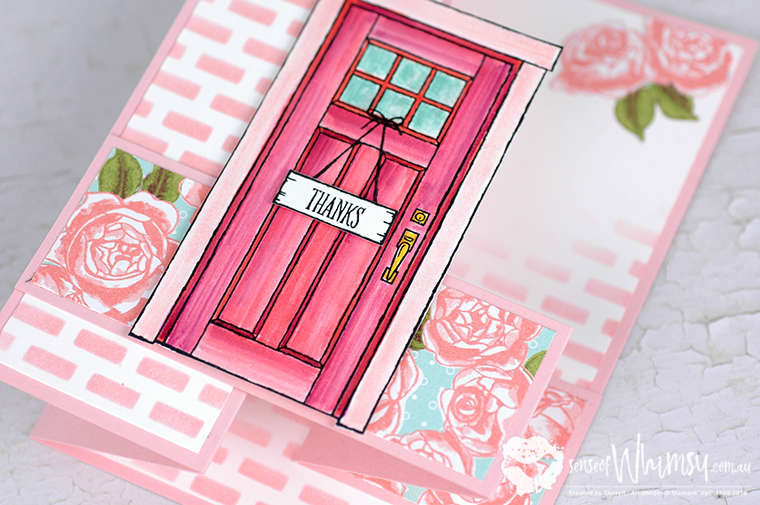 The door surround is coloured with Powder Pink … which is also the colour I have used for the base card and for stencilling the bricks. This is the brick mask from the Party Pattern Decorative Masks. I wanted to add a pretty English Cottage Garden somewhere in here, and this pretty Designer Series Paper from the Petal Garden Paper Stack was perfect. I am feeling quite accomplished after stepping outside my comfort zone. You might even see me attempt something a little more challenging! I hope the projects in this hope inspire you to try something different and brightened your day. You are currently visiting Cheryll Miller. Please see the list below & hop through all of the people on the list to see all our projects. You don’t want to miss any! Cheryll, I really love your card and to see it in real time it is just as gorgeous. I do love the colours and the “cottage” feel to it. Wow Cheryl. This is such beautiful card. Stepping out of your comfort zone looks good on you! This is a different way to use the door. Good idea. Lots of pink. Hi Cheryl, love the card. You made me laugh with the measuring I related to that so much ?. Loking forward to seeing you tomorrow . I love this design Cheryll ! Permission to case ? 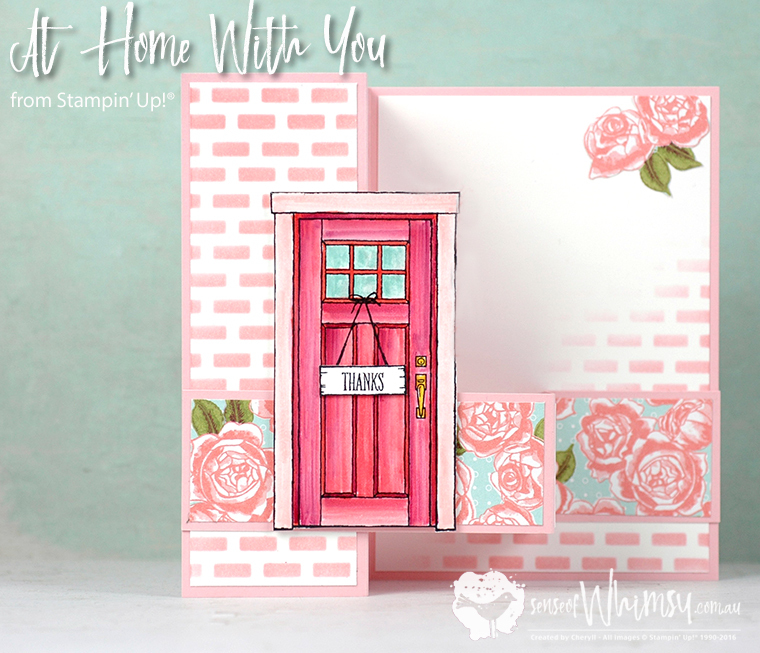 I’ve not demoed the At Home With You bundle and this would be a perfect card for my class ladies to create . Thanks Colleen, so easy … why haven’t I done this before? Such Gorgeous colours <3 I want to walk right through that door…. 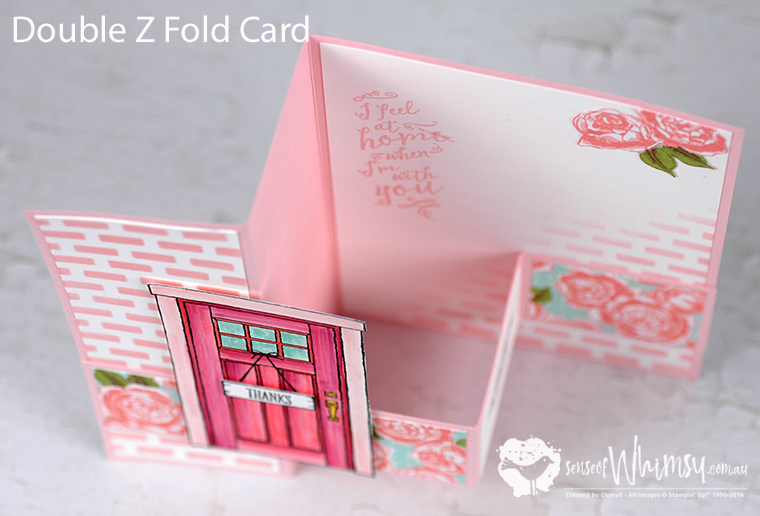 Great job on the embossing past and a great way to use this card fold! This is just lovely! I feel a case coming on. Click here and let me introduce myself.